Our 40 years of back country adventures in the Rocky Mountains and the deserts of the American Southwest instilled habits that aren’t necessarily appropriate for the tropics. We’ve never fully figured out camping in the rainforest (or maybe it’s just impossible to be truly comfortable when it rains all night and at least four hours during the day) but we’re happy to share what we have learned. This list focuses on trekking because it’s really almost pointless to car camp in Costa Rica. If you can get there with a vehicle someone came before you with a truck load of lumber and put up cabinas where you can spend the night dry and bug free for a few bucks. If you’re planning a serious back country adventure you might want to check out the gear and food list we made up for the trans-continental trek. These are things that you might need in addition to the obvious from the general lists. The “sleep system” will vary a lot with personal preference and which altitudes you’re visiting. Our actual sleep setup is sort of like a bed and blanket(s). We sleep on top of a pair of extra long thermarest self inflating camp mattresses that we cover with a thin pile “fitted sheet”/”mattress pad” that goes over the top of the pads and wraps around underneath about 6″ to keep it in place. This was custom sewn out of super light, slightly fuzzy material that looks and feels like polar fleece (like a pile jacket) except it’s about 10 times thinner like a bedsheet. I honestly don’t remember where I got the material, but it works great to keep you from sticking to the thermarest, and dries quickly if it ever gets wet. If we’re at lower elevations a sheet or light blanket is usually all that’s needed. If we’re headed to higher elevations we’ll carry a single lightweight polyfill rectangular bag (I think it’s rated about +40 degrees F) that we open out and use as a blanket over the top of us. Goose down bags would be a really terrible idea because of the constant moisture. When we climbed Chirripó we wore every stitch of clothing we had, covered up with our single bag, and froze our butts off all night long… so the system while very lightweight and compact does have its drawbacks. I’ve heard the “new” (almost twenty years old now but we haven’t returned to the peak in a while) Chirripó refugio provides much better shelter. 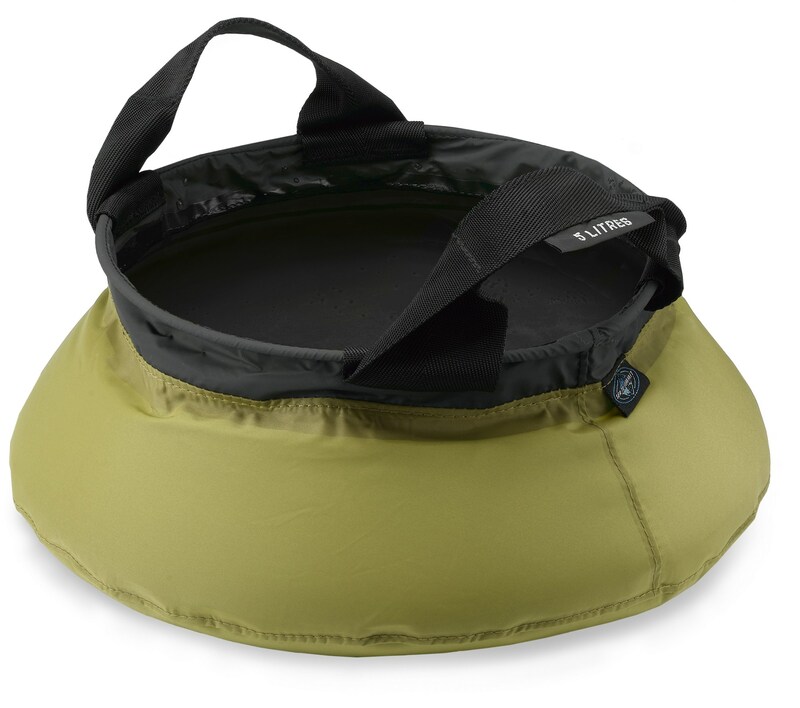 water bag – The best we’ve found are the Platypus bags and we usually carry a 1 L small mouth for convenient access on the trail, and 4 L widemouth for around camp. stove and cookset – The best camping cookset available is also the cheapest. Go to WalMart and buy the $US 14.99, 7 piece teflon coated aluminum cookset. Leave the big pasta pan and frying pan at home, saw the handles off to about 3″, replace the screws that hold the handles on with wing-bolts from your local hardware store (15 ¢ each), pack the handles inside the two pans along with your plastic bowls and cups (79 ¢ WalMart again), lexan silverware ($US 4 per set, Mountaineering shop), washing and drying cloths, and you have the equivalent of a $US 139.00 Svea backcountry kitchen for under $US 25.00 (and it’s actually lighter!). fire – bic lighter & waterproof matches. You may have to buy this after you arrive because of airline regulations but we’ve had our bags checked by the TSA dozens of times and they’ve never confiscated the mini-bic that I always forget to take out of the first aid kit. nylon line-100 lb. test 30 feet. lounging hammock – if you’re not using a Hennessey as your primary shelter there are super-lightweight, super-compressible nylon travel hammocks that are great when you want a place to lounge out of the mud or away from the creepy-crawlies. You will not find white gas or propane canisters for your stove in Costa Rica. You cannot bring them on the plane. Either shell out a few hundred bucks for something that burns unleaded gasoline (not recommended we’ve filed tested a few and they just don’t work) or methanol. 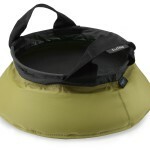 We recently discovered the Sea to Summit portable tub and now we literally carry the “kitchen sink” on treks. It’s fine for washing up but where it really shines is bringing a few gallons of water back to camp so you can let the sediment settle when necessary and pump through your filter for drinking water in comfort instead of squatting by the stream. The Hennessey Hammock is a great invention and Chris field tested it under the toughest conditions on our ten day trans continental trek. It performed like a champ against rain and bugs. The only problem he ran into was sometimes the trees are really far apart in pristine primary forests. Unless you’re on an expedition you probably won’t need it but the Institute Claudomiro Picado in Heredia sells broad range lyophilized injectable antivenin effective against all of Costa Rica’s vipers. Leave the Satellite Phone home. We tested one on the trans Talamanca trek (just in case the antivenin didn’t work and we needed a helicopter) and could not get signal anywhere. The rainforest canopy is too dense, the canyons too deep and mountains too steep. You’re definitely not going to pop into REI and pick up a few things before hitting the trail – there isn’t one. Outdoor gear is extremely hard to find and expensive in Costa Rica. There are a number of shops that advertise “sporting goods” but most are dedicated to fashion. Over the years we’ve seen several small independent gear outlets come and go. They’re usually located in the upscale districts in the central valley and the current entrant Stone Mountain Outdoors is no exception. Located in Santa Ana they have a good (for Costa Rica) selection of equipment at reasonable (for Costa Rica) prices.